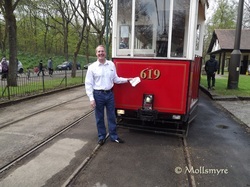 The Heaton Park Tramway is located in Manchester in one of the largest parks in Europe.The park also has a number of other attractions such as a boating lake, farm centre, pitch and putt, football pitches, golf course,bowling greens and kids play areas. 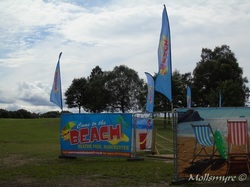 Heaton Park occasionally also stages concerts, So its not surprising that it can be a busy place. 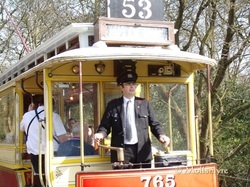 The Tramway boast a fine collection of trams including Manchester 765,Blackpool 623 and Stockport No.5 The original double track runs from the Middleton Road entrance to The Tramway Museum then runs single track towards the new terminal point at the Boating Lake.